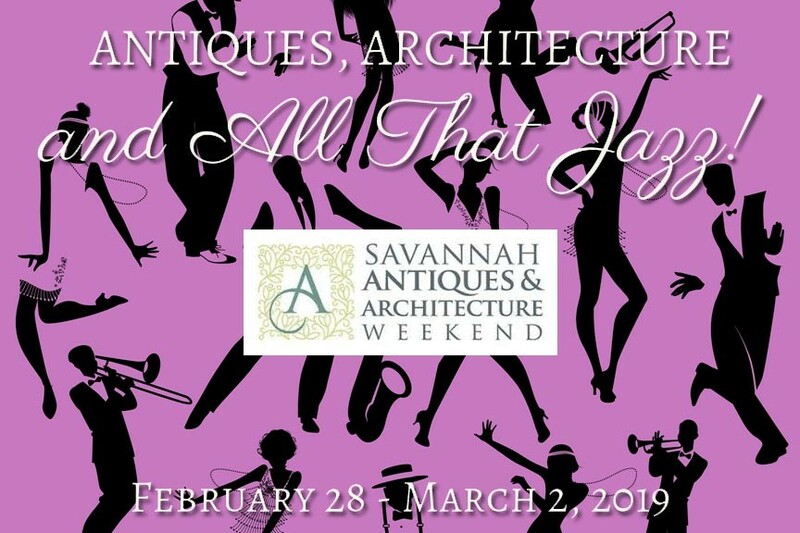 The focus of this year’s Savannah Antiques and Architecture Weekend is the Jazz Era of the 1920’s and 30’s. The theme was inspired by the addition of a special event to this year’s festivities: inaugural tours of the recently restored Armstrong-Kessler Mansion. There is no finer example of jazz-era architecture in Savannah than the Armstrong-Kessler Mansion and this event celebrates the mansion’s 100th anniversary. The Savannah Antiques and Architecture Weekend also offer chances to tour the sanctuary of St. John’s Church, The Andrew Low House, and The Green-Meldrim House. Savannah Antiques and Architecture Weekend was started in 2017 by Georgia’s chapter of The National Society of The Colonial Dames of America (NSCDA). The NSCDA currently owns or operates more historic properties than any other organization in the country, except for the Federal Government. Savannah Antiques and Architecture Weekend benefits Savannah’s Andrew Low and The Green-Meldrim Houses – and you, too! The weekend is full of fun and unique events. There will be book signings, talks, historic home tours, dinners, silent auctions, and lots and lots of great, live jazz. One big draw every year is What’s in Your Attic? This is your opportunity to have your own antiques appraised. This year’s appraisers are local jewelry expert, Jane Mullino, and two Antiques Roadshow stars: Amanda Everard and Lark Mason! This year’s event will also feature local actors bringing some of Savannah’s interesting, jazz-era characters back to life. Julien Green, Sophie Meldrim, Juliette Low, and others will be there “in person” to talk about their life and times during Savannah’s jazz-age. 9:30am to 3:30pm – What’s in Your Attic? All events on the schedule require tickets, and some have sold out already. If you hope to attend, now is the time to collect your tickets. Visit savantiquesweekend.com to learn more about this event. You can also follow it on Facebook. 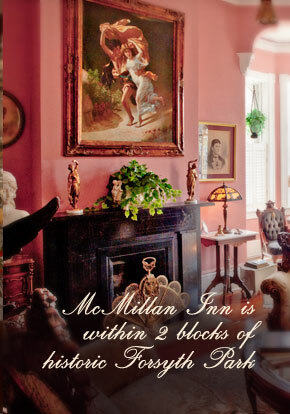 Make your Savannah getaway the best it can be with accommodations at McMillan Inn. 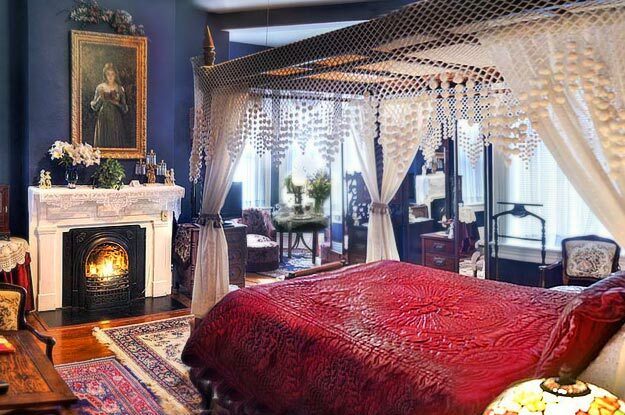 Our Savannah B&B offers 12 luxurious guestrooms and a Carriage House – all within two blocks of historic Forsyth Park. Book your stay at McMillan Inn today!